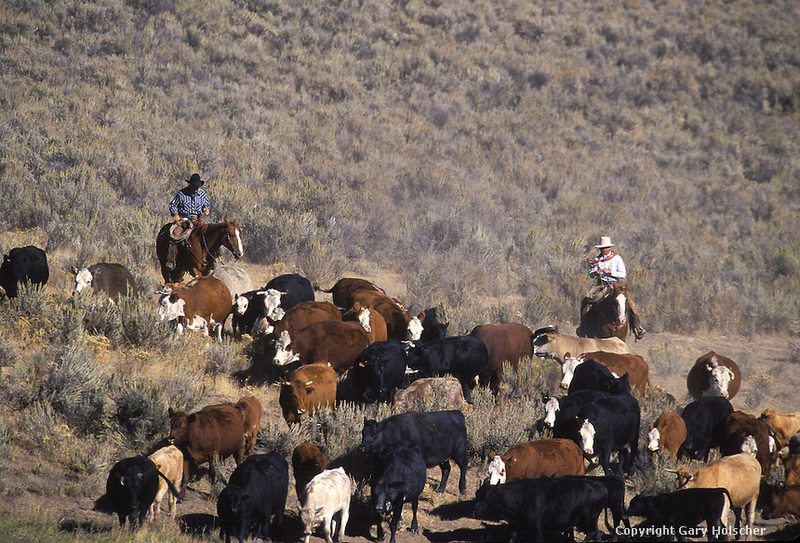 Cowboys herding cattle. #2 Ponderosa Ranch, Seneca, OR. Copyright Copyright 2000 Gary Holscher.All Rights Reserved.